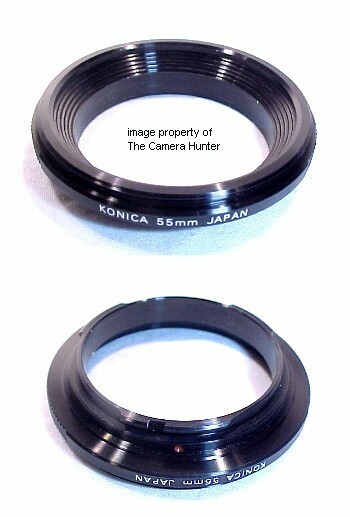 Here is a brand new Konica 55mm lens reversing ring for extreme Macro close up photographs. Macro-photography is one of my favorite forms of photography. You will be surprised to see what is lurking just out of site. You will have so much fun you will hardly be able to stand it! To give an example of what this will do, I will use this illustration, results may vary depending on your lenses, this is just a ballpark figure from what I have here. If you use a 55mm Macro lens that has a 1:1 ratio capability and take a photo of a dime you will get almost a full frame of the dime. With this ring attached to the same lens mounted in reverse position you will almost get a full frame of the date on the dime. This is for extreme Macro and if you use longer lenses with Macro capability you will get ultra close to the smallest subjects! The threads are 55mm so the front ring of the lens you want to mount in the reverse position needs to have a 55mm front ring. 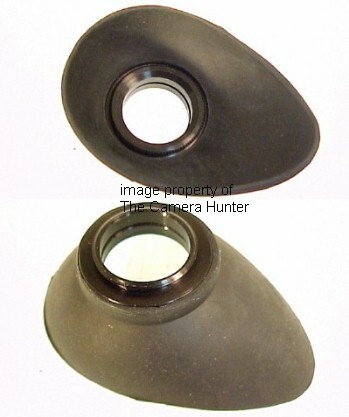 The lens can be any type by any manufacturer. That's the beauty of the ring. You can get a cheaper Screwmount M42 lens and use it with this ring. You can also use step up or down rings to make this fit other lenses that are bigger or smaller than 55mm. This is for the Konica manual focus cameras, it will not it the Maxxum or the Sony Alpha cameras.